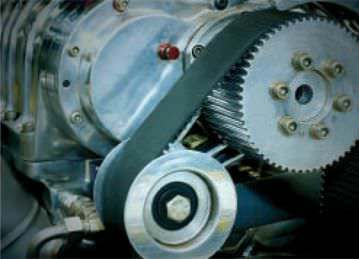 The HTD series is a line of timing belts, manufactured by Tempo. Models of the series are generally utilized for industrial synchronous transmission applications. The applicable usage scope of these units involve mining equipment, wood process equipment, weaving machine, packing pipelining, etc. Additional features of the series includes high power transmission levels, and solid structures.